A sergeant roams the halls. Through the drug wars in Colombia to the high skies above, he has never stopped teaching. And he has no plans to stop yet. 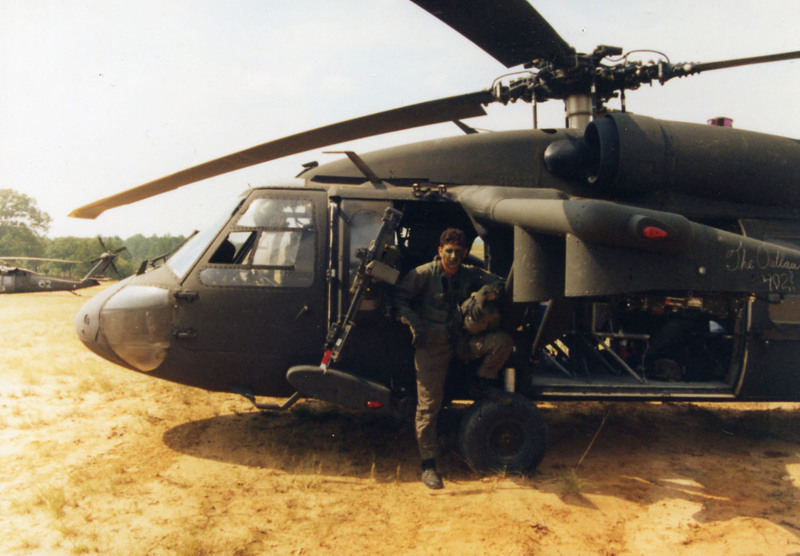 World history teacher and girls soccer coach Charles Johnson served in the Army as a UH-60 Black Hawk crew chief. Johnson enlisted straight out of high school and served through 1992-2000. In the Army, Johnson said he was able to choose his job as a crew chief. As a crew chief, Johnson was responsible for taking care of a helicopter and managing the aircraft. Johnson said there were plenty of hard days but benefited being in the Army. Johnson said one of his favorite experiences was an arctic survival school he attended with the Army. Johnson served between both Gulf wars and spent time in Colombia working with the Drug Enforcement Administration. Johnson has traveled more since his time in Colombia, as he has led many groups from Canyon High to other countries in travel experiences. “For a young kid like me, it was pretty eye-opening to see how people outside the United States live,” Johnson said. “The poverty level they had was really incredible, just witnessing the suffering they had there. Johnson said in a world where some people think a lack of cell service is suffering, his experience in Colombia gave him perspective. Johnson earned the rank of sergeant at age 21. After serving, Johnson pursued a career in computer and business but soon chose a different path. “I was with people I just couldn’t relate to,” Johnson said. “I reflected and asked the VA if I could become a teacher because in the army you taught a lot, and I thought that would fall in with what I wanted as a career. My VA rep told me no initially. The VA wants you to make a lot of money so it looks good for them. Although he said he did not make a lot of money, he was happy.